This is a cool area to plan your wedding reception. The town has a lot of character with the different art shops. Maria and Kevin planned their wedding reception at Coral Gables, and it was right on the water. 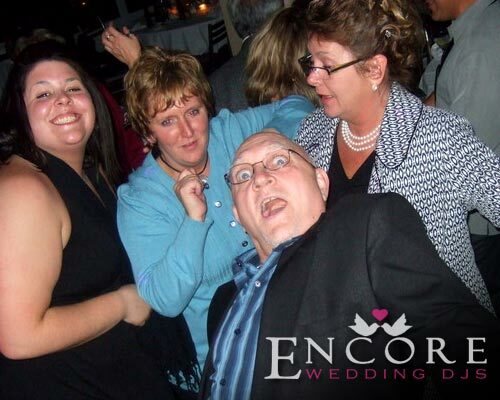 Encore played a very big role in their reception… not only did we have to entertain the guests but transform the room. The venue has a unique room layout, so we had to really think out how the lighting fixtures should be arranged. You could tell that the time put into the visual cues paid off once the sun dipped below the horizon. All of this, and the bridal party even planned a choreographed dance route!